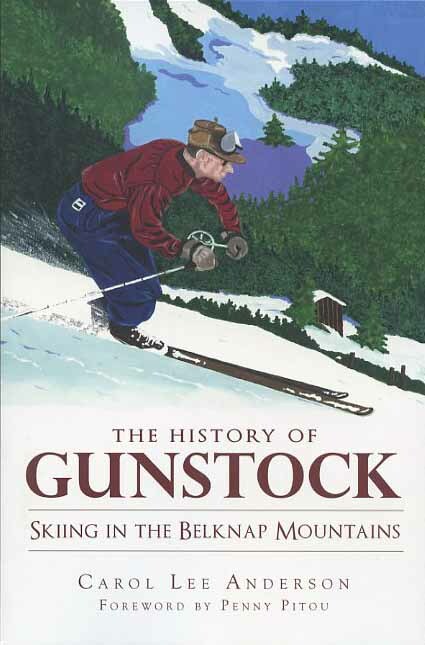 The History of Gunstock: Skiing in the Belknap Mountains, by Carol Lee Anderson, Foreword by Penny Pitou, 2011. Tells the story of nearly 75 years of skiing in the Belknap Mountains, beginning with the development of the first trails and lifts in the 1930s. Among the people and topics covered are Norwegian ski jumper Torger Tokle, Olympian Penny Pitou, local ski clubs, and modern developments. 160 pp., 6" x 9."